This celebrated text by Chogyal Phagpa was composed as a manual of instructions for the 13th century Mongol Prince Gibek Timur. In 204 verses it covers the entire Buddhist path, from the level of a beginner to that of full enlightenment. The first part of the teaching provides guidance for a good life; the second one outlines the path for liberation and the final major section – the distinctive features of the Mahayana path. The text is beautifully written which makes it especially accessible. 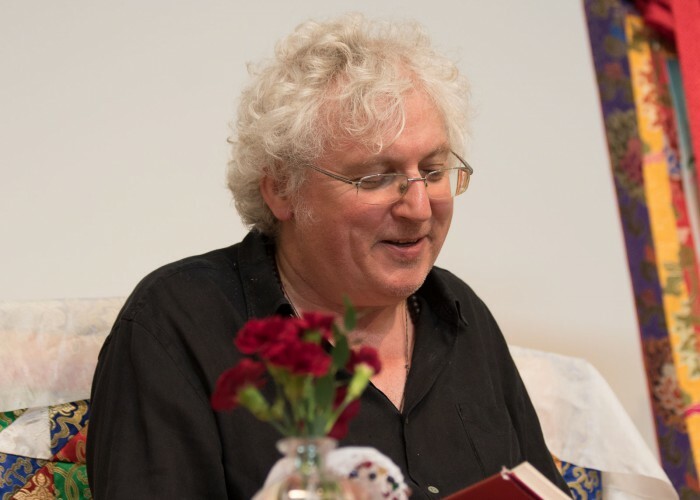 [Lama Jampa continues teaching this text, started in January this year, though it is not essential to have attended the earlier session to come today. It will be continued in October]. 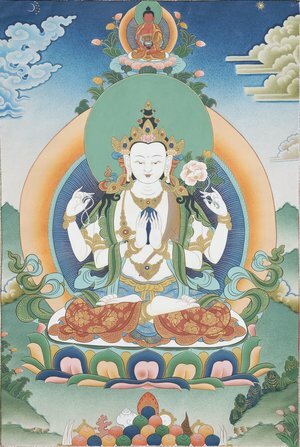 The goddess Tara is revered in all traditions of Vajrayana Buddhism as the embodiment of the liberating activity of all buddhas. 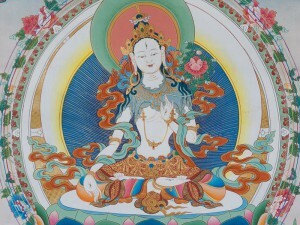 White Tara is one of the three deities of longevity whose practice is renowned for bestowing the blessings of long life and thus increasing the opportunity for spiritual practice. Fee: £25 (teaching and initiation); £15 (teaching only ending 1pm). Concessions by request. This is a facility fee for the event. There will also be an opportunity to make a personal offering to the Lama at the end of the teachings.